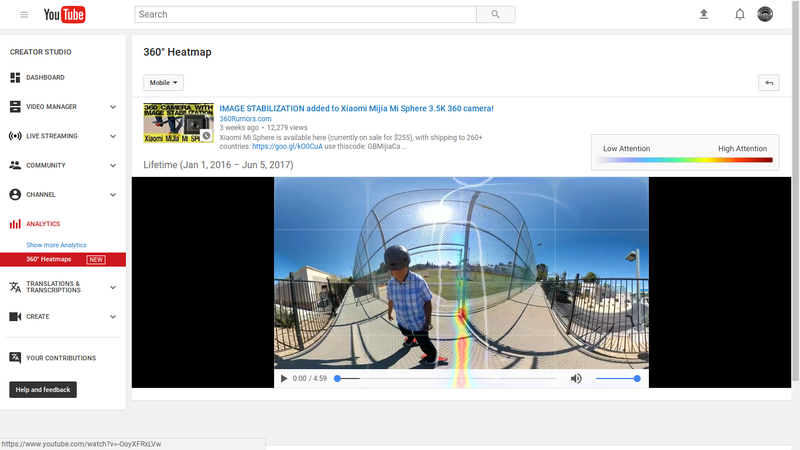 YouTube has added heatmaps to popular 360 videos, showing where viewers are looking. Update: Scott of Foundry 45 shared a video of a heatmap. See below. YouTube added 360 heatmaps to analytics tools, letting you see where viewers are spending the most time looking. Last year, heatmaps were added by Facebook, but the threshold was quite high at 50,000 unique viewers (not views). YouTube’s heatmap has a threshold of only 1,000 views. To see the heatmaps for your videos, click here. You can also go to your Video Manager and then see the new 360 Heatmaps tool under Analytics. You can see the heatmap and how it changes as the video plays. 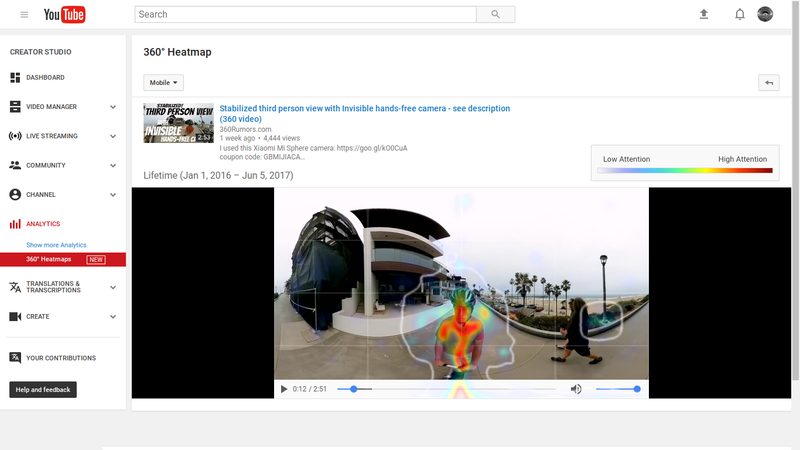 There is a separate heatmap for desktop viewers and for mobile viewers. In my videos, it seems that desktop viewers are much more likely to look around, while mobile viewers stay mostly in the original view. 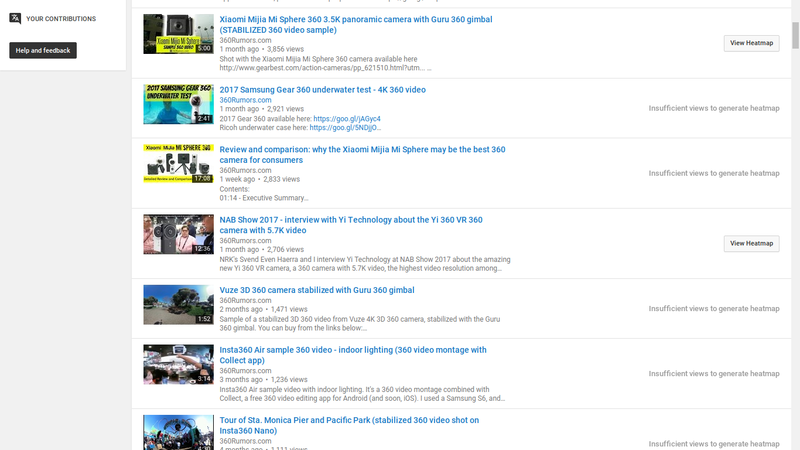 Another bug is that some videos that have over 1,000 views nonetheless still show “insufficient number of views.” Here you can see that some videos that have more view have no heatmaps, even though other videos with fewer views do have a heatmap. 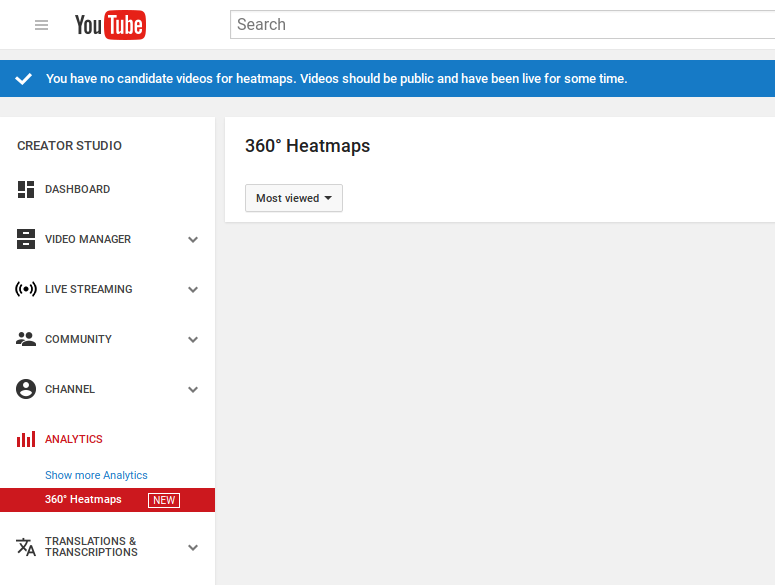 Notwithstanding the bugs, the addition of heatmaps is a very welcome feature for 360 content creators, and I’m glad YouTube set a much lower threshold for views than Facebook. This will help creators refine their 360 videography techniques. Thank you very much to Upton North for bringing this to my attention! This gonna a great help for the aspiring YouTubers like me. Thanks for wonderful post.